Home > FAQs > Ny > Account Information > NYSEG to Direct Energy Migration > Who is Direct Energy? 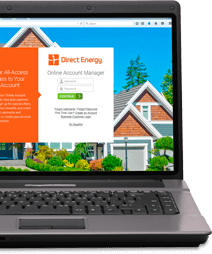 Direct Energy is one of North America's largest competitive energy suppliers of electricity, natural gas, and related services. Direct Energy operates in 10 Canadian provinces, 50 states in the U.S., and the District of Columbia. Every day, nearly five million residential, business, and services customers use Direct Energy for their electricity and natural gas, home energy services, energy efficient solutions and more. From competitively priced electricity plans to HVAC (Heating, Ventilation, Air Conditioning) installation and service to energy audits, Direct Energy offers a full range of services to ensure your home runs as smoothly and reliably as possible – all in a way that suits you and your home.